Although stress can be derived from other factors other than the ones listed above, it is important to be able to detect the factors causing stress. Because Mental Health is overlooked, I was elated to find out the month of May was National Mental Health Month. I have invited Latrice Drain, PH.D., a licensed psychologist who specializes in counseling and consulting individuals and companies on managing emotional stress and coping in a professional environment. She provides mental health counseling in-person and online, wellness coaching, training and development, and meditative practices. Courtesy of Dr. Latrice Drain, PH.D. I met Dr. Drain at an event hosted by Life Coach and one of the main things she talked about was empathy towards others. Empathy is something people lack in or confuse with sympathy, especially with people who feel depressed or too anxious. I wanted to pick her brain to see how we, as a society, can become more aware of others and ourselves. Q: Before we dive into managing emotional stress, can you please explain emotional intelligence and its importance? A: Well, let’s begin with intelligence. The term, intelligence, which is defined as the ability to think abstractly based on objective criteria such as tests or to apply knowledge to manipulate one’s environment, is complex and multifaceted as it encompasses varying types, one such being emotional intelligence. 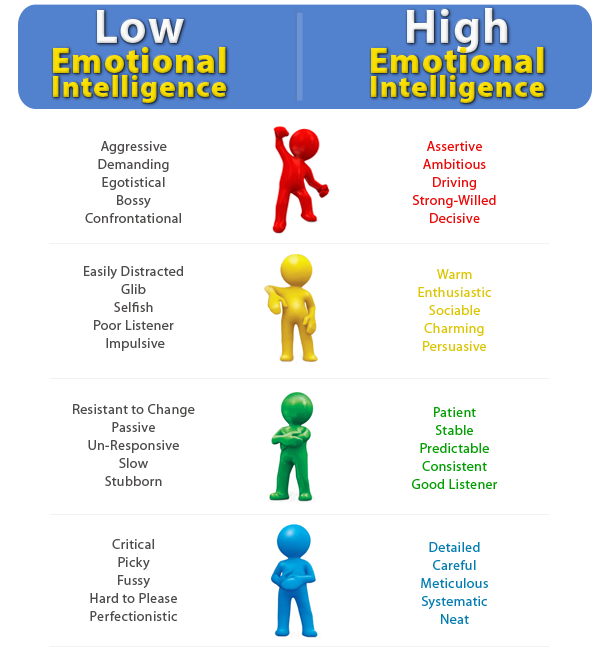 Emotional intelligence (EI or EQ-emotional quotient) is the capacity in individuals to identify and manage their own emotions and the emotions of others as well as utilize their awareness of the emotional information gathered in a given situation to apply it to thinking and problem-solving. This is not IQ and not the same as IQ; it is EQ or EI, which is different. EI or EQ encompasses four skills across two competencies, personal competence and social competence. Personal competence involves self-awareness and self-management skills, focusing more on the self than on interactions with other people. The self-awareness skill of personal competence is the ability to perceive one’s own emotions accurately and remain aware of such emotions as they occur. The other personal competence skill, self-management, is the ability to use awareness of one’s own emotions so as to be flexible and to direct one’s own behaviors in an appropriate manner. For example, actions are emotion-based, thus even when settling issues, the actions continue to be emotionally influenced. Social competence in emotional intelligence is made up of two skills as well: social awareness and relationship management skills. Social awareness, then, is the ability to identify emotions in others accurately and to understand or grasp the true nature of a given situation. True nature, in this regard, means to distinguish between reality and perception. Although perception is important, it does not equate to reality; in other words, how a situation is perceived is not necessarily how a situation is in reality, thus recognizing the true nature of an encounter exhibits competence for managing a situation. Relationship management, in social competence, is the ability to use awareness of one’s own emotions, as discussed in self-awareness and self-management, but also to use the awareness of other people’s emotions to manage interactions effectively. Therefore, emotional intelligence is important in any aspect of life because it not only challenges antiquated or narrow ideologies of the meaning of intelligence but also confirms that being cognizant of one’s own emotions helps to relate to the emotions expressed in others in order to navigate social complexities and in thinking of ways to resolve potential or actual conflict through emotion-regulation and management. If confronted with a problem leads to yelling, criticizing or embarrassing others, hostility, violence, tension, avoidance, denial, and/or disregard for or dismissal of concerns, then understanding one’s own internal emotions would be beneficial in managing others’ emotions for a more reasonable, respectable, and healthier outcome. I speak about all of this in further detail in my book, Every Body Is Talking: Building Communication Through Emotional Intelligence and Body Language Reading. Q: How does one become aware of their emotional intelligence? A: This requires self-reflection and honesty with the self in such reflection. Pay close attention to how you respond to something that occurs, your interpretation and perception of it, as well as the actual occurrence of events, and compare and contrast reality and perception. Then question whether your response (or reaction) was situation-appropriate, meaning whether it fits the scenario adequately or if the response was over or under-reacted. The objective is to arrive at a reasonable response so there is a reasonable outcome for those involved, so reflect on your handling of the occurrence, how to improve for next time, and take responsibility for your own mishandling. Emotional intelligence does not mean that everything will be perfect or everyone will be happy or satisfied, but rather that you are aware of the emotions or emotionally-charged situation and navigate through it with respect to de-escalating the matter and maintaining healthiness in the interaction with others, even if in disagreement. Q: As explained above, stress is tied to some of the deadliest diseases. Although, there are some unavoidable situations that may cause stress such as a death. Although, there are some unavoidable situations that may cause stress such as a death, what are ways people can remove avoidable stress from their life? Notice your stress triggers– again, paying attention to the body and when it becomes aroused from stress is essential in detecting the triggers for stress, which could be sounds, places, people, tasks, reminders, and so forth and the body communicates when the stress is near or is present though physiological responses. For example, changes in breathing pattern, pacing, sweating, clinching of hands or feet, nail-biting, avoidance, silence, talkativeness, or any other shift from the regular natural state. Surround yourself with positive energy– people who are uplifting will bring this light and encouraging energy, so keep them near. Post positive affirmations in places visible and accessible as reminders of the energy you want to cultivate; the more repetition of saying these affirmations over yourself and life the more you believe it in your mind, thus the more it is reflected in your actions and behaviors. Q: Also what are ways people can cope with stress when faced in unavoidable situations? A: When this happens, it is stressful, frustrating, and sad. Allow any and all emotions to take form organically without judging or analyzing the emotions. Just let yourself BE. In other words, allow yourself both the space and time to process what is happening in the present moment. Find a safe space to be alone or with others, depending on your personal need at the time, speak only when ready, and practice deep breathing exercises to calm and align the mind and body while in the moment. There is a plethora of stress-reducing activities for after something stressful has occurred, so engage in any productive and healthy one that suits you best, from meditation to yoga to painting to journaling or talking to a trusted person. If the activity is more high-energy, just ensure safety. Regardless of the selected method(s), it should allow you to release emotions that are not serving you well in the moment and to open you to receive more fulfillment even in the midst of stress or chaos. Q: Are there other stressors that may affect people that was not listed above? A: Those listed above cover the range of stressors quite well. To add to the list, learning a new skill, a new culture, and any social and political issues also lead to stress. Q: Because stress is a silent killer, how can individuals detect the root cause of what’s ailing them? A: Cortisol, the stress hormone, weakens the immune system, increases blood pressure, and impacts long-term memory, amongst other effects. The prefrontal circuitry, which helps the mind to focus, also calms the body from stress arousal. I would encourage people not to be silent about stress. When feeling stressed, it helps to voice it to those around rather than suffer in silence. This can actually strengthen relationships with others, relieve some of the emotional weight of carrying it alone, de-stigmatizes mental health concerns, and can lessen the pressure of the “being strong” stereotype. Again, notice the stressors and the physiological responses to the stressors as these are signs for when stress is near or already present. Q: Once stress is detected, what are some ways individuals can alleviate or cope with it? A: When possible, try to remove yourself from the situation because time and space is needed to process mentally all that is occurring; do not yet speak so as not to say something regretful; pause any major decision-making or anything that can be final. Overall, breathe and then breath some more until the body and mind feels in alignment. The body and mind have to be in a parasympathetic state to function adequately as one cannot be in a state of calm while the other is in a state of stress. It is crucial to know one’s own body to detect any changes, slight or obvious changes, as this is the emotional information needed to navigate a situation with clarity of mind. Q: When I heard your presentation at the seminar I attended, I was very interested on your take of empathy. Do you feel one of the root causes of depression and high anxiety is the lack of empathy? A: Depression and anxiety, whether high or low, are real emotional states of being. They are intense and can interfere with a person’s daily functioning (work, school, routines, other responsibilities), relationships and interactions with others, self-view, and worldviews. The lack of receiving empathy from someone is not necessarily a root cause of depression or anxiety, and every person’s depression or anxiety is formed differently and prolonged for varying reasons. However, lack of empathy can be one of the experienced outcomes after revealing or sharing one’s emotional state with others and may add to the depression and function as a confirmed belief regarding depression. For example, if there is a belief that others do not or will not care, then if that is actually experienced or even perceived, then it confirms the pre-existing belief, but may not be the cause. Q: What are ways individuals can show empathy towards another individual? A: Honesty is usually the recommendation with this. If uncertain of what to say or how to be, then expressing that to the one in depression or anxiety shows transparency. It may be tempting to judge, analyze, or even avoid the individual for many reasons, but it is best for all involved when communicating clearly about your own stance without passing judgment. If curious, be curious and ask questions…genuinely rather than for the sake of teaching a lesson or exploiting the individual (i.e., teasing, gossiping, misusing, manipulating, and so forth). Try to be mindful of your reactions and their consequences, and consider where the individual may be mentally and emotionally before responding. This is part of emotional intelligence in action, so consider whether your actions or reactions would be helpful or harmful. Q: I wanted to touch base on the workplace, as I have known or heard of individuals who have been sick or dropped dead from working in a stressful environment. I know some would think the obvious answer would be to find another job, but sometimes it is not as easy as it sounds. And some people cannot quit their jobs without being hired at a new job as they have family to support. In these instances, what are ways these individuals can manage their stress levels while in their work environment? A: We have briefly discussed removing toxicity from one’s life and surrounding the environment with positive energy to reduce stress. Quitting a job, finding new employment, or starting one’s own business is not always simple. There are numerous steps involved, and sometimes resources, such as finances and time, are not always readily available and accessible to start somewhere else or to be able to provide for the self or family immediately. The workplace brings additional challenges if it is the sole financial source that is also a major source of the stress because it makes it difficult to leave the comfort and security of work without establishing employment elsewhere. If possible, limit the time around the people or things in the workplace that are stressors or triggers the stress. It may be impossible to remove this contact completely but limiting the time and interaction, even gradually limiting it, can lower the stress. If unable to limit the time with sources of stress, then during those encounters, think about why you are experiencing stress around the person or with the task, and make efforts to approach differently. If one method of communication does not work well, then try something different. Limit the conversation if necessary, or use uncomfortable moments as “teaching lessons” . If someone says something that brings discomfort or generalizes, politely yet confidently state your stance without aggression or apology and agree to disagree. Also, take a few moments alone in the office, restroom, or outdoors to be alone and calm the nerves before re-entering the situation. Allow yourself time to pause the conversation or task when noticing the inner stress levels rising Additionally, use the Paid Time Off when necessary, but “necessary” requires one’s own discernment for his/her health needs . It is alright to use (not abuse) days allotted away from the workplace and to spend that time productively on yourself and life. Q: I know that I am guilty of taking work home at times, what are suggestions to help individuals successfully leave work at work? A: There is this somewhat silent or unwritten rule that work should precede all else, and that those who work around-the-clock are the most committed. Thus, this has cultivated a culture within US society, particularly in this case, that working hard means working non-stop. The physical and mental strain this creates is stressful on the mind and body, and too much stress can actually decrease work productivity. Yes, at times, work will be taken home because it is a large part of many people’s lives. It happens, so first accept that it is possible and remove the blame and shame or other people’s standards and expectations. Work is as much part of life as life is, thus if work-life balance seems unrealistic, challenging, or mythical, then consider work-life integration. This differs from work-life balance in that work-life integration does not separate these two aspects. Instead, it utilizes the facets from both in each area. For example, at home, you may need to prepare dinner. Such preparation takes time, organization, and planning even before cooking and serving a meal. These skills are applicable in the workplace when scheduling meetings or completing spreadsheets. The same attention to detail is useful and necessary in both, so integrate the skills of work and life. To leave work at work, if that is specifically the goal, then monitor yourself when discussing work after work and track it. Change the subject when possible, and find other interests and hobbies in which to engage and to discuss. Q: This is mental health awareness month and I believe it is very important for people to become aware of their own mental health and be respectful of others’ mental health. I realize there are more mental illnesses other than depression, however, I know first-hand the effects depression can have on a person and how it is close to impossible to even know when you are feeling depressed? What are some red flag signs of depression? A: Although signs can differ between people, if there are changes in the body and in life that are prolonged for weeks to months, then it is best to seek professional guidance when able. Being aware of the body to know when changes occur or mindful of daily functioning to know when routines are interrupted or interests are declining is essential in detecting signs. When the outlooks of self and others are taking a different direction, appearance is reshaping, eating and sleeping patterns are affected, performance is decreasing, and other changes specifically in ways that disrupt the regular occurrence of life, then these may be the body’s way of communicating a concern. Many times people express depression via physiology and that is partly due to the interconnectedness of the mind and body. The body expresses that which the mind experiences. Q: How can people cope with depression when they are unsupported by loved ones? A: The feeling, whether actual or perceived, of not being supported can further harm the individual in depression. An alternative to loved ones is to find another support system and gain, over time, loved ones in the new support system. Also, remain mindful that the current support system that may be unsupportive might misunderstand depression. While it is a real psychological state of being, not everyone is familiar or educated on its condition or effects. Be patient with yourself and others while coping with depression, explain what you can, and only be accountable for yourself rather than others’ misunderstanding. It is also tempting to want to be well for others, but that is impossible because healing is internal and cannot be done for someone else. When coping with depression, try healthy methods and ones that either used to and potentially could be interesting. Additionally, work on reframing thoughts. For example, “I am no good at this” becomes “it did not work well this time, but next time, I will try it another way”. Lastly, work on realty-testing by acknowledging the actual events compared to perception of events. This will challenge thought patterns related to self-view and worldviews. Q: What are some pointers you have for those dealing with depression? A: Energy follows thought, so where the mind the goes (or where thoughts go), it carries that energy with it. If the self-perception is “worthless”, then that energy forms in the body, generating a feeling/emotion with it, and subsequently manifests in actions and behaviors, and this works reciprocally as well. Pay attention to how you speak to yourself because it shows how you treat yourself and interact with others. Reframe the thoughts, track the progress, and provide small (or large) rewards for yourself for different accomplishments. Any method must be consistent rather than sporadic to have longer lasting outcomes. If around a relative or friend with depression, then be honest, patient, and receptive to the process. Also, be consistent in the support provided or risk harming the individual. Q: Are there any additional comments you would like to add pertaining to Mental Health? A: In some ways, the psychology field is still stigmatized and can lead people to not seeking professional guidance, along with various other factors. Think of mental health as a necessary component to overall health. The mind and body are deeply intertwined, yet are viewed and/or treated as separate entities. Mental health is as important as physical health. People visit a medical doctor for pain in the body, thus seeking professional help for the mind is natural as well. Also, some express mental anguish somatically. For example, visiting a medical doctor for chest pain, whereas the pain could also be related to a mental concern, yet visiting a mental health doctor or other mental health professional may be overlooked. Mental health benefits everyone from a micro level to a macro level. When individuals are mentally healthy, then a society is healthy.